The Pioneering Care Partnership is launching a new 20-week dancing course for over-65s. 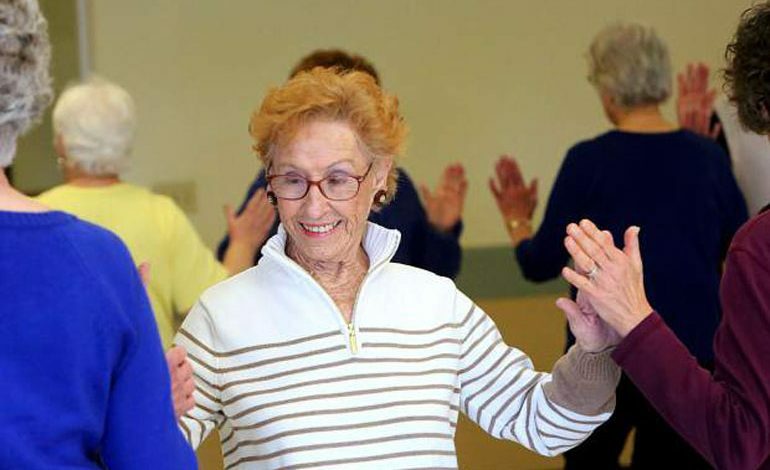 If you’re over 65 and would like to be more active, exercise safely and enjoy dance is probably ideal for you. The free ‘Falling on Your Feet’ course, by Helix Arts, starts on Tuesday September 25 and runs every Tuesday and Thursday for 10 weeks at the PCP, 10-11.30am. The course will help improve strength, balance and flexibility, whilst having fun and making new friends. The National Institute for Health and Care Excellence (NICE) estimates that one in three people over 65 will suffer a fall every year, while one in two people aged over 80 will fall. If you’ve had a fall it can knock your confidence, ‘Falling on Your Feet’ can help improve general stability, enable people to regain confidence and prevent further falls. If you would like to book a place, or for more information, please call the Pioneering Care Centre on 01325 321234, email [email protected] or got to www.pcp.uk.net.